Leyland Kirby has been creating music as The Caretaker since 1999 with his debut, Selected Memories From The Haunted Ballroom. Not surprisingly, this music sought to recreate the sounds and emotion of the ballroom music immortalized in the Stanley Kubrick film, The Shining. The music was a perfect combination of dusty old records and a subtle touch of horror, a recipe which Kirby would further hone over the following decade. What started as a side-project / hobby of Kirby’s would take a turn in 2011 with the release of An Empty Bliss Beyond This World. This album was the culmination of all the previous years’ work. An Empty Bliss Beyond This World was hailed as an instant classic by the admittedly small crowd of us that care for these sorts of hidden gems. It’s not out of place to see copies of the original pressings of this vinyl going for upwards of $100. The vinyl element of The Caretaker really holds the key to much of its glory. Over a number of years, Kirby has been working on his collection of old vinyl from the first half of the twentieth century. These records are the foundation of The Caretaker sound. Using his own version of aural alchemy, Kirby molds The Caretaker songs from these old records, adding to and shaping them as he goes. Leaving in it’s final form, albums that have the warmth and emotion of the old ballroom classics, but are given even more emphasis by the way Kirby records/re-plays/re-arranges them in his productions. Five years after the success of An Empty Bliss Beyond This World, The Caretaker took this style of music to a more directed place than ever before. Everywhere At The End Of Time is a concept album(s) about a man (The Caretaker) as dementia slowly takes hold of his mind, and will inevitably leave him senseless. We saw on the first two stages his progression from daydreams and slight memory loss, into a more pronounced problem, as he begins to realize his predicament. You can read my review of the first two stages here. Now this is the point where The Caretaker starts to take an interesting turn as a project. Stage 3 starts in much the way we would expect from the ending of Stage 2. But, as we progress through this stage, tracks like “Internal bewildered World” begin to showcase something more akin to dark ambient. In fact, by “Aching cavern without lucidity”, we have a track that is little more than a droning murky memory of what the previous tracks had presented. The Caretaker has officially lost his mind, and we, the listeners, are left in some dark void, peering out through the distorted vision of The Caretaker as if we were hypnotized to the sunken place, like the lead from that film, Get Out (2017). Needless to say, Stage 4 is incredibly disjointed and bleak. Sides G, H, and J all consist of snippets of sounds from previous stages, which are now distorted, twisted, wrong. There is an increase in the staticy foundation and the moments often roll by without more than a glimmer of the carefree sounds we enjoyed during Stage 1. We are, however, given a period of solace, a sort of mirage in an endless sea of barren sand dunes. “I1. Stage 4 Temporary Bliss State”, as the title suggests, takes us away from the harsh unwelcoming sounds of the previous two tracks, and offers us something which is still incredibly disjointed, but also quite beautiful, and certainly peaceful in its own way. As with the previous stages, Kirby is releasing these in small batches of vinyl. Also, the first three stages are now available as a three disc boxset. I finally got my hands on a copy of Stage 2 on discogs (it’s already long sold-out). As I expected, vinyl is absolutely the perfect format for this series, and The Caretaker in general. Of course, Kirby recreates the vinyl static on his albums, but placing the record on your turntable and then experiencing this sort of music is quite magical in and of itself. The earlier stages will be more attractive to fans of that ballroom sound or some variety nostalgic music. But, these later stages are starting to evolve into something that I think the more die-hard dark ambient fans might find to their liking. 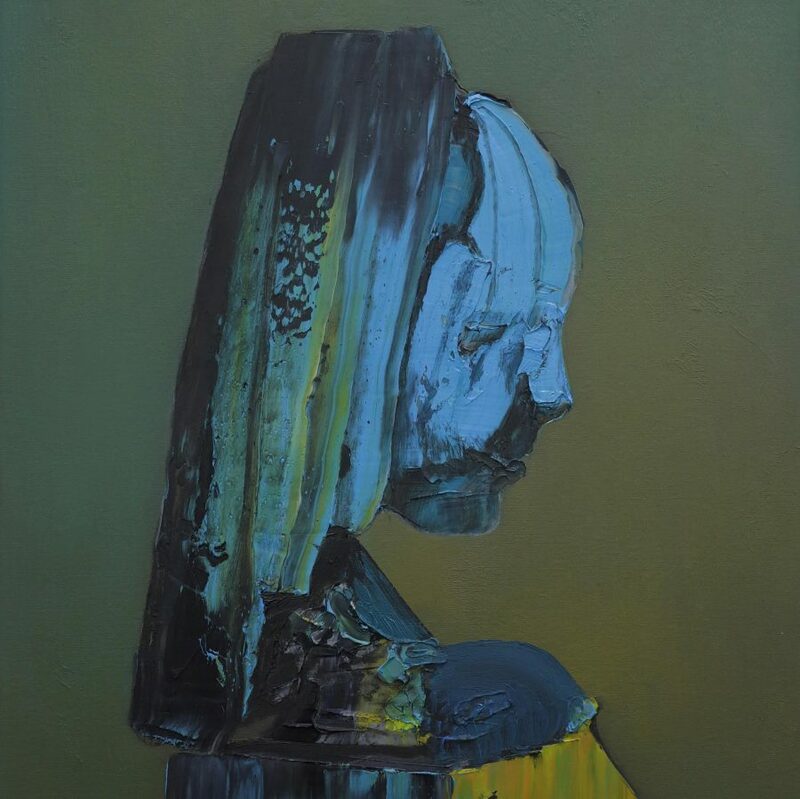 As always with The Caretaker, I highly recommend this release, and if you have the extra funds, get the vinyl before you have to start searching discogs for over-priced second-hands.